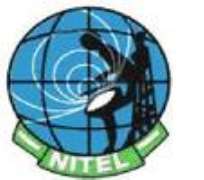 Nigerian Communications Commission (NCC) has said there is no damage on NITEL SAT- 3 and that services on that platform has not been disrupted. The Commission also apologised to Nigerians whose businesses and personal lives have been adversely affected by the interruption and said it is closely monitoring the situation. The Commission in a statement made available to THISDAY said: “The attention of the Nigerian Communications Commission (NCC) has been drawn to media reports on the 'disrupted services on Sat–3 Fibre Cable' and the various concerns expressed by users and members of the public who fear the impact such disruption could have on telecommunications services. NCC however said: “There are confirmed reports of cable cut on the Cotonou link of the Sat–3 cable and this unfortunately has affected services in Nigeria for the reason that Suburban Telecoms, a Nigerian Service Provider, is connected to Sat-3 at the Cotonou end, from where it runs services into Nigeria. NCC also explained that: “This is the reason the effect of this disruption has been noticed almost immediately in Nigeria because of the fairly huge usage the Suburban link commands through the Cotonou Sat-3 Fibre cable. “Suburban has assured the Commission that efforts are being made to carry out immediate repairs. The company has informed the Commission that the Cotonou Sat-3 managers have been contacted by Suburban, and that they have made urgent international arrangements to fix the problem. Unfortunately, the ship coming to Cotonou to carry out the under-sea job will pass through Cape Town and that will take about two weeks. “Meanwhile, efforts are being made by both Suburban and Cotonou operators to lease capacity from either Nitel or the operator in Ivory Coast. Such efforts are intended to give immediate relief to the customers. “The NCC is monitoring the situation closely and is ready to make intervention that will favour the service users. This will include but not limited to encouraging the international cable operators to have an arrangement whereby if there is cable cut in one country, subscribers can be immediately switched to the cable infrastructure of a neighbouring country. “This is similar to what happens in the Aviation industry where if one airline has a problem with its aircraft, its customers can immediately be endorsed to other airlines.